Here at Openhand we offer a range of self-realisation services to individuals, small groups and communities alike. We're all about helping you make the shift into 5D Consciousness. We have our own program of events, which run throughout the year, around the world. However, we're also prepared to be flexible and organise something to fit your particular needs - such as a themed seminar for example. Our services are open to all people, in all walks of life, everywhere that is practical. 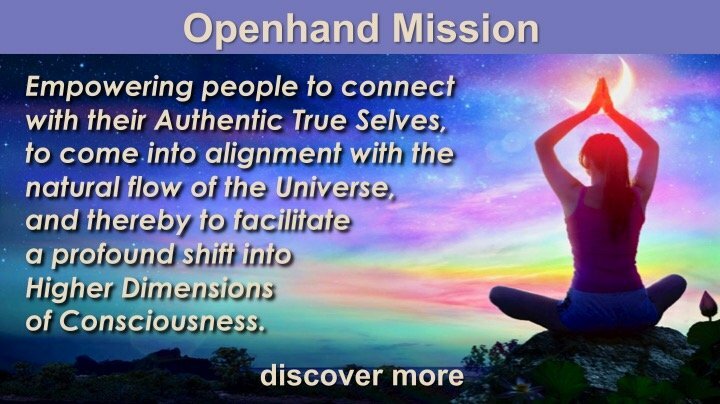 And we're growing a worldwide movement of facilitators aligned with the Openhand Philosophy. ***IMPORTANT*** We will respond to your email as soon as possible, if you have not heard from us within 24 hours, check your spam folder!! !